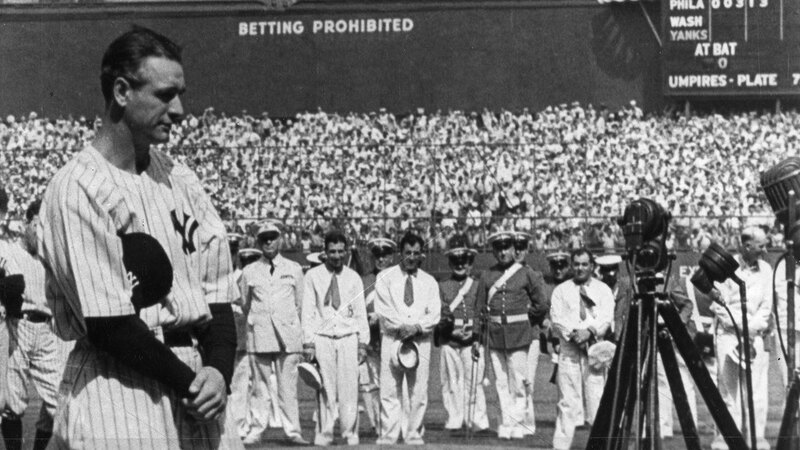 Gehrig succumbed to amyotrophic lateral sclerosis (ALS), which is known as Lou Gehrig’s disease. When the New York Giants, a team you would give your right arm to beat, and vice versa, sends you a gift — that’s something. When everybody down to the groundskeepers and those boys in white coats remember you with trophies — that’s something. When you have a wonderful mother-in-law who takes sides with you in squabbles with her own daughter — that’s something. When you have a father and a mother who work all their lives so you can have an education and build your body — it’s a blessing. When you have a wife who has been a tower of strength and shown more courage than you dreamed existed — that’s the finest I know. So I close in saying that I might have been given a bad break, but I’ve got an awful lot to live for."